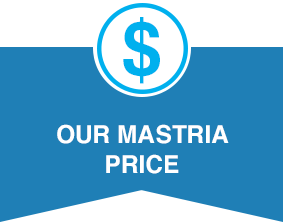 At Mastria, we conduct a comprehensive inspection of the vehicle and go above and beyond the OEM inspection. This way when you drive off our lot, we are confident you will be satisfied with your purchase. When pricing our vehicles, we strongly take into consideration the market-value of the vehicle and provide a haggle-free price. When assessing your trade-in value, we provide an above market value for your trade and work hard to provide you with a pleasurable buying experience all at the same time. If you’re in the market for a Volkswagen you can trust at a great price, it’s time for you to visit Mastria Volkswagen. 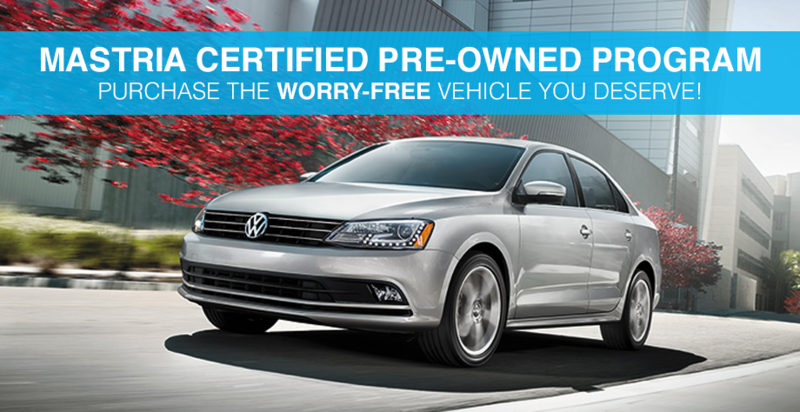 Our used Volkswagen models are Mastria Certified, meaning they are of the highest quality to give you the best value. Come to our Volkswagen dealership near Fall River, MA, to find the pre-owned Volkswagen that fits your lifestyle and budget. Whether you’re looking for a used SUV like the Volkswagen Tiguan or a pre-owned sedan like the VW Passat, there’s a vehicle for you on our lot. 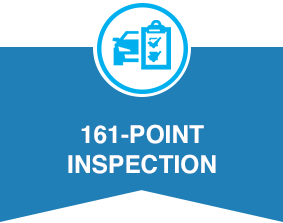 Before any cars are accepted into the Mastria Certified Program, they must go through an extensive 161-point green-label inspection. This ensures all of the car’s components including its mechanics, body appearance, safety features and structural integrity meet our requirements. In fact, we make sure the tires on our pre-owned VW models are new enough that you won’t need to replace them unreasonably soon. Unlike other dealerships, we don’t give cars the Mastria Certified badge unless there’s a minimum tread depth of 5/32nd of an inch. 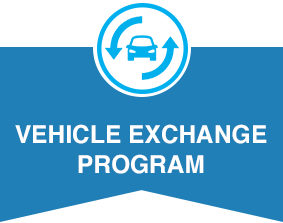 Plus, every Volkswagen in the Mastria Certified Program comes with an AutoCheck® vehicle history report that details previous accidents and service records. Don’t hesitate to visit Mastria Volkswagen to explore our used VW inventory, including many Mastria Certified models. Our sales team will show you around the lot and help you choose a vehicle that hits every point on your new-car checklist. Contact us to schedule a test-drive today; we want to make sure you leave grinning from ear to ear.